On behalf of the School and Sacred Heart Parish community, I welcome you to our beautiful school. We are privileged to have a school site that looks out to the ocean, has large and well equipped grounds and modern and well resourced learning spaces. Most importantly we pride ourselves on creating an educational experience that caters for the needs of each individual child. 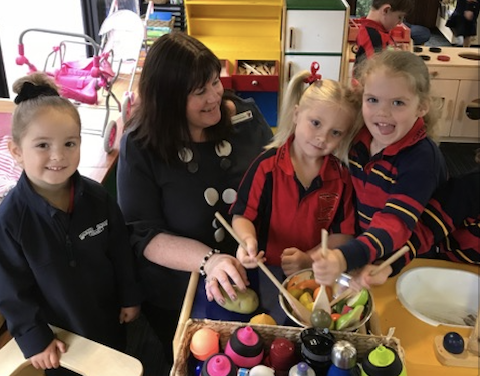 As a school community we will take every care to ensure that the children in our care witness quality, equity and justice in the school environment. Our aim is for children to feel secure and experience success within a vibrant learning environment. We believe that a partnership between family and school should be founded on a spirit of mutual respect, cooperation, communication and involvement. We feel it is a privilege to work with you in the education of your child. Your opinions are valued and always welcomed throughout the child's education at Sacred Heart School. Please feel welcome to discuss any aspect of your child's education with the teachers or myself.